Social media has been ablaze this week with articles, comments, and creative memes about Brian Williams and the false statements he made about his experience reporting in Iraq in 2003. Williams’ report, in and of itself, is pretty much meaningless. On the other hand, the significance of his lie permeates much deeper and broader than an event covered over a decade ago. Americans are so obsessed with meaningless day-to-day nonsense – everything from Bruce Jenner’s gender confusion to what so and so wore last night on Scandal. People think less and less for themselves and rely far too heavily on what the news media tells them is important. The national news media in particular substantially influences what the public knows, thinks, and believes. For the past couple of decades, the news media in this country have become far more involved in shaping the news, rather than reporting the news. What used to be valued as unbiased reporting has evolved into editorialized pandering to one ideal or another. Every US media outlet I can think of is shamelessly biased either left or right, although they are certainly loath to admit it. All of them, subtly if not overtly, promote their respective political and social agendas. 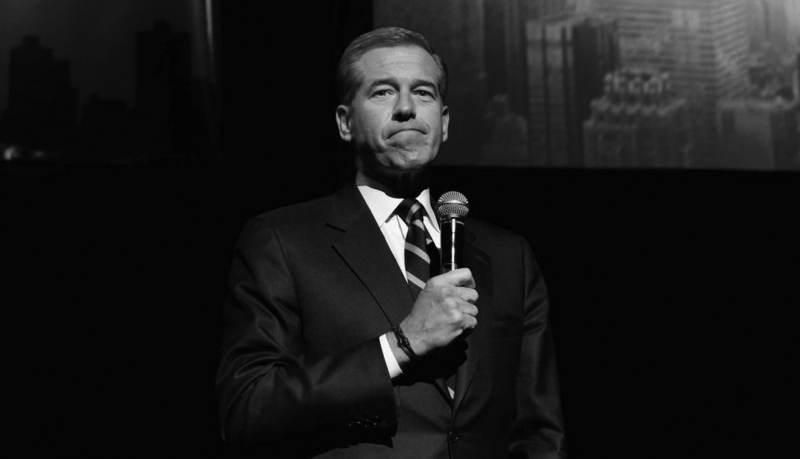 As the prime time anchor, Brian Williams is the voice of NBC news. As such, both his credibility as a journalist, and consequently the credibility of his entire organization, is now called into question, and rightly so. The credibility of every news organization should be called into question, not because Brian Williams lied, but because the presentation of the news in this country has become disingenuous, cropped and carefully presented in a particular context to deliberately shape public opinion. We cannot become complacent and accept the blatant falsification of events that are documented and presented as factual, particularly from our news media. Brian Williams should step down permanently, and this incident should be a wake up call to the entire industry.